The Facebook page Ford Giveaways confirms that "the 1st 1,000 next-gen Mustangs built will be 2014 1/2 model year vehicles." They didn't say whether the cars will be special '50th anniversary' editions, but the year on them alone makes them pretty special. The designation pays homage to the original Mustang, which was dubbed the "1964 1/2 Mustang" by aficionados thanks to its late April 1964 debut. Who's gonna line up to get a 2014 1/2 Mustang? UPDATE: We originally reported this was a Ford Facebook page, but apparently it is not, and it links back to report published in MotorAuthority. Though at first glance it appears to be affiliated with the company, we have no evidence that it is. It's entirely possible that there are 2014 1/5 Mustangs coming but this isn't in any way legitimate proof. 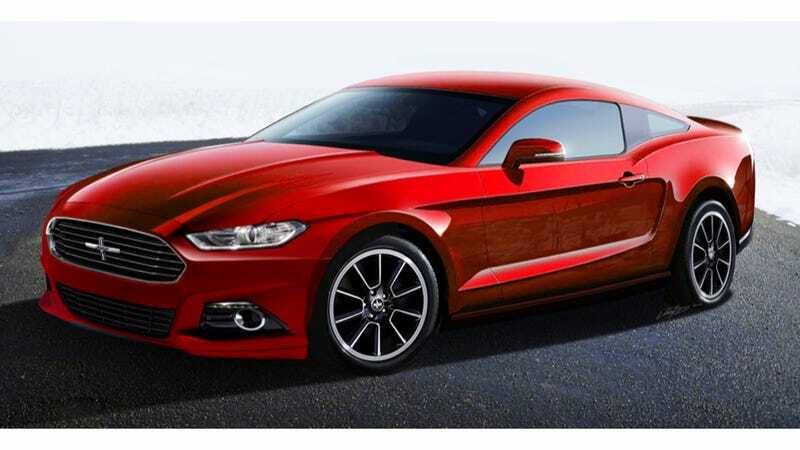 Updated 2014.5 Mustang render from existing Jalopnik render already in use.